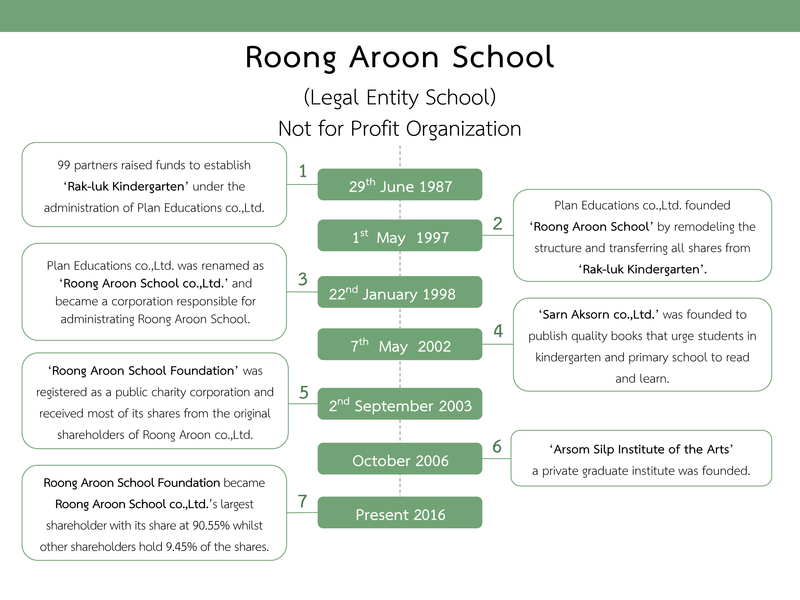 Roong Aroon school is a private not-for-profit organization. It was set up and accredited in 1997. The school is composed of three independent departments, Mixed kindergarten (ages 4-6), the primary school (grades 1-6), and the secondary school (grades 7-12). Since the school promotes a cooperative working team, each department is separately managed by a headmistress/principal who can initiate her own team’s considerable initiatives from teacher meetings linking different levels or from a Core Subject team approach. Based on the concept of the holistic learning process, Roong Aroon aims to provide a more natural environment and to promote creative practices that help encourage children at each age level to attain their own learning potential. 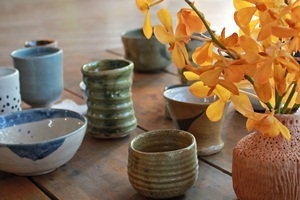 The school is situated on fifty rais (twenty acres) of land on the outskirts of Bangkok in the Bangkhuntien district. The site is remote from the crowded and dense inner city. The buildings are grouped by department, and are nestled in a natural environment, with surroundings that are landscaped with abundant and airy greenery, fully accessible to all the students. Most of the area is developed to cater to both outdoor and indoor learning activities, supplemented by regular off campus field study. Parents, teachers, and staff participate closely together to create a variety of lively and supportive activities. We believe that by maintaining a warm atmosphere among our own team of teachers, workers, parents and children, the growth of a cultivated community is certain to be developed and sustained.